A group of farmers in the Chocó Rainforest in Ecuador is preserving trees from being felled for lumber and banana and palm oil production. Their association, Socio Escondido, is instead growing cacao, which is easy to grow and transport and collects a price premium for being grown organically. It can be grown alongside native trees without harming the rainforest, and provides local families with more income than other crop options. In order to join the organization, families must agree to preserve the majority of their land from logging. According to the organization’s website, “One hectare of mainly broad leaf forest trees can absorb over one thousand tons of CO2 a year; it releases tons of oxygen. 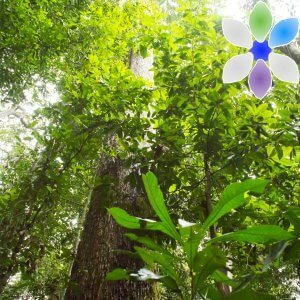 Each tree can produce $46,000 dollars of water every 50 years, plus the benefit of obtaining food.” The organization also engages in reforestation and education efforts.